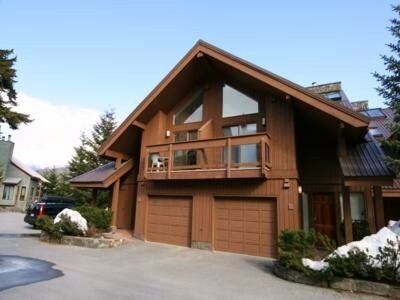 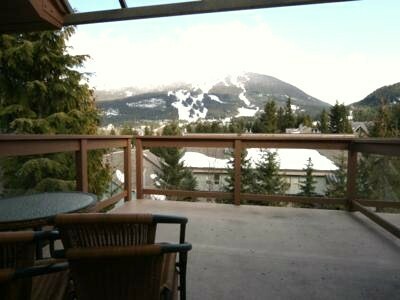 This Whistler Sunrise townhome is located in a quiet residential area of Whistler yet it is only a 5 minute walk via the Valley Trail to Mountain Square in the heart of the village. 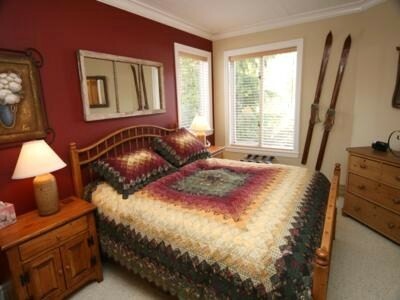 The gondolas serving both Whistler and Blackcomb mountains are just a 10 minute walk away. 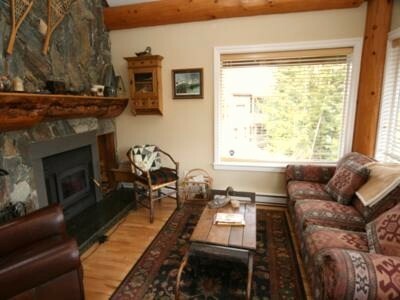 The living area and large deck have spectacular views of both mountains. 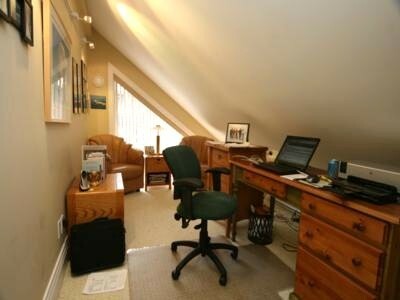 This professionally decorated multi-level townhome has a vaulted ceiling and 2 skylights, providing lots of natural light. 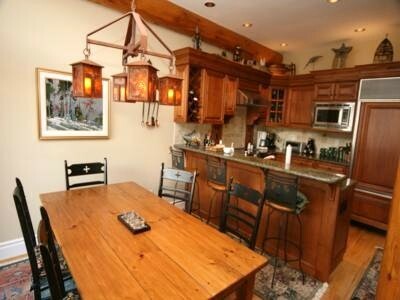 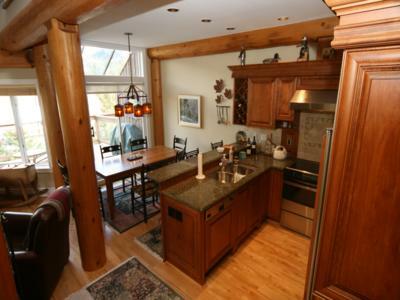 Its typical Whistler decor, with large log posts and beams, hardwood, slate and carpet floors, and mountain chalet style comfy furniture and accessories, make it a cozy mountain retreat. 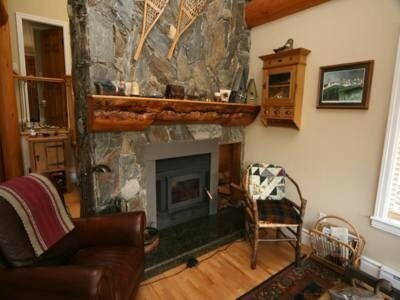 It features a stone fireplace, 3 bedrooms, 2 and a half bathrooms, laundry area, a loft lounge area with large screen plasma TV and surround sound CD and DVD players and iPOD docking station, and a small den for reading and wireless internet connection. 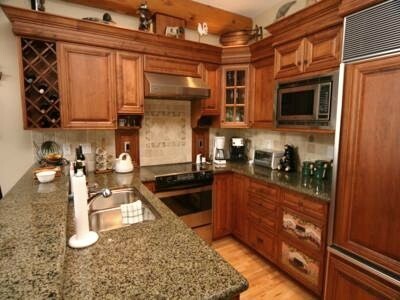 The kitchen has granite counters, top of the line appliances, and is well equipped for gourmet cooking. 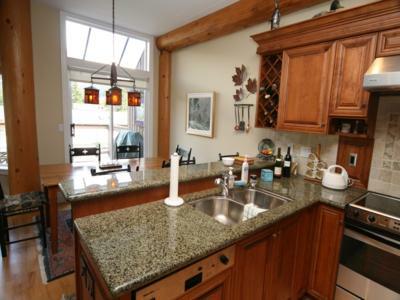 The open plan kitchen allows the chef to visit with family and friends who can relax at the raised granite counter that can also be used as a serving area or extra seating for meals. 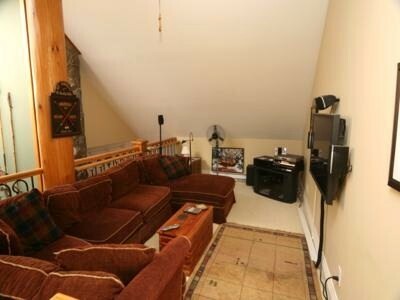 There is a large partially covered deck with a BBQ off the dining area. 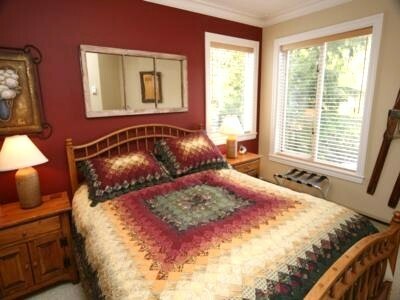 The master bedroom features a 4 poster king bed, a small balcony and a large fully tiled ensuite featuring a skylight, Jacuzzi tub, 2 wash basin vanity, and heated floors. 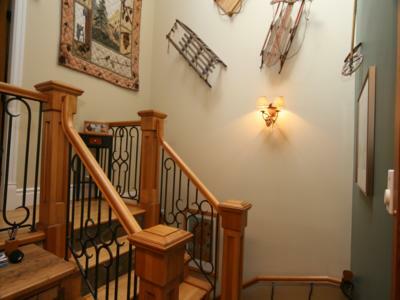 The entry level includes a large foyer with closet and stacked shelves of wicker baskets for convenient storage of winter hats, gloves, goggles, etc. 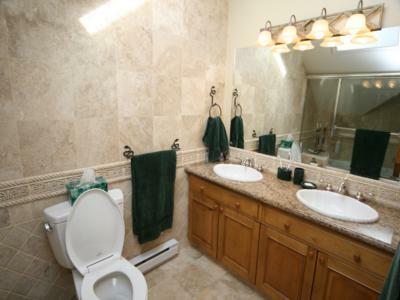 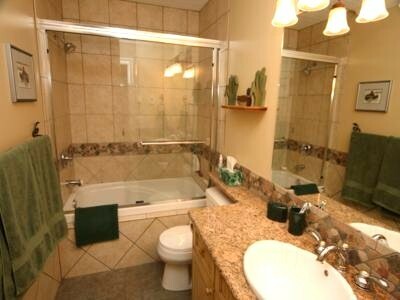 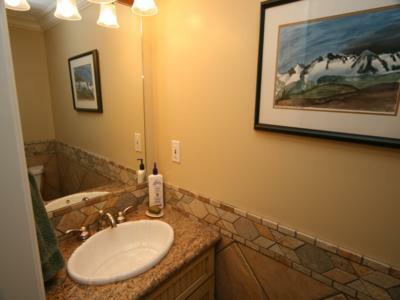 There is also a half bath and access to the single car garage from the foyer. 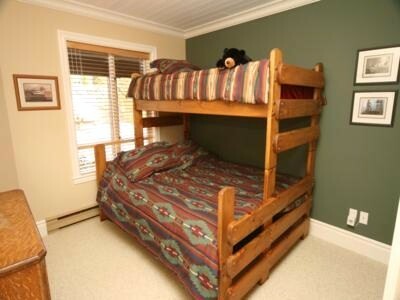 The lower level features 2 beautifully decorated bedrooms with queen beds one with a single upper bunk and large closets, a full bathroom with heated floor, and a laundry area.